Jason Hales is an experienced British born professional Italian wedding photographer living in the Abruzzo region of Italy providing wedding photography for English speaking clients looking to get married in the romantic country of Italy. Your Italian wedding photographer in Italy? 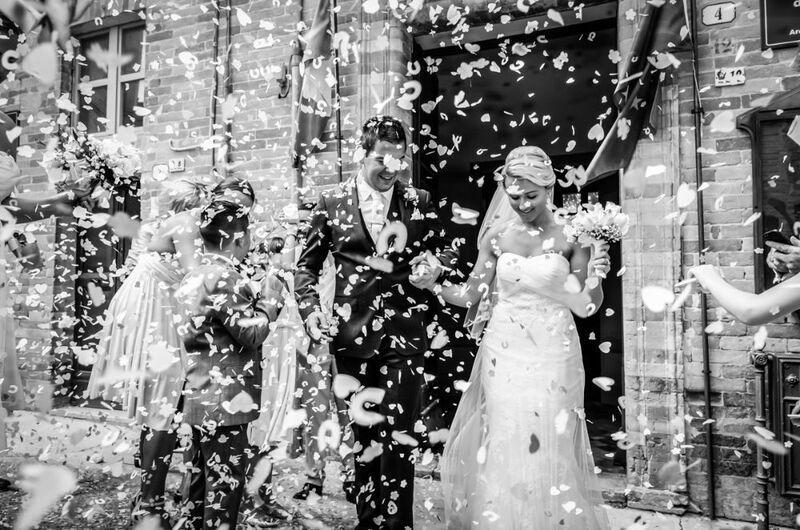 Jason has captured weddings in his unique reportage style all over Italy from Lake Como in the north to Sorrento in the south. Specialising as a Rome wedding photographer not only will Jason capture your wedding day for you with discretion and professionalism he can guide you with the best places to capture your wedding photographs and also help with the language barrier to ensure your wedding day runs as smoothly as possible. 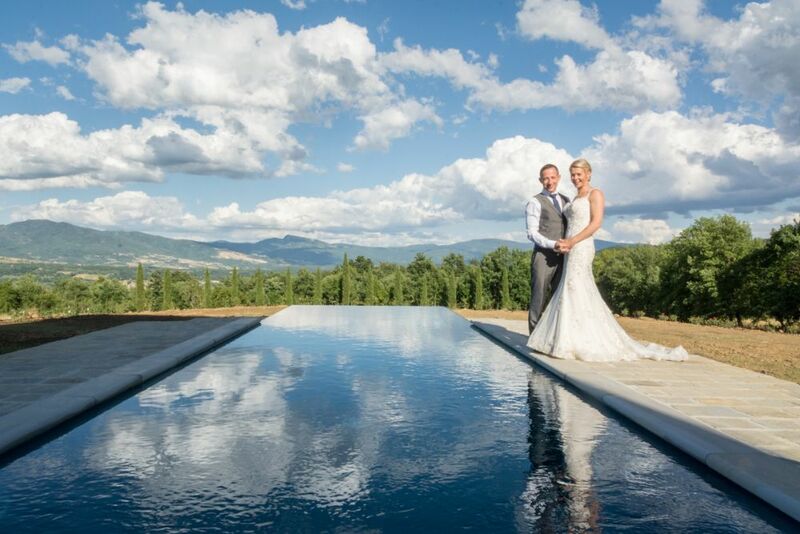 "If you are getting married in Italy and you are looking for a friendly, fantastic photographer look no further...Jason really is your man! " Weddings in Italy vary greatly in size and location and as you look though the galleries here you will see that Jason has photographed everything from large Italian weddings in Tuscany to small intimate weddings in Abruzzo. As such Jason takes great care to capture the uniqueness of each wedding and wedding venue. 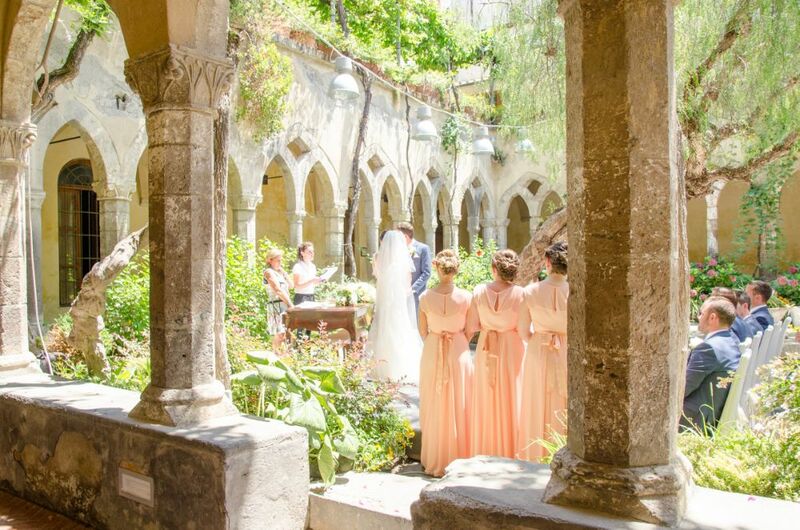 A wedding at the Cloisters in Sorrento will be very different to a church wedding in Rome and Jason has the experience of photographing weddings here in Italy to capture that for you. "We genuinely could not be happier with everything you have done for us, thank you." So what can Jason offer you? Jason has three philosophies that have always been the basis of his successful career as a wedding photographer. Simply to offer all clients great service, great photographs and all delivered in good humour! Key to building a great relationship on the day is the work that goes in beforehand in building that relationship. Jason will take you through every step of the build up to your wedding with prompt and clear communication by phone or email. 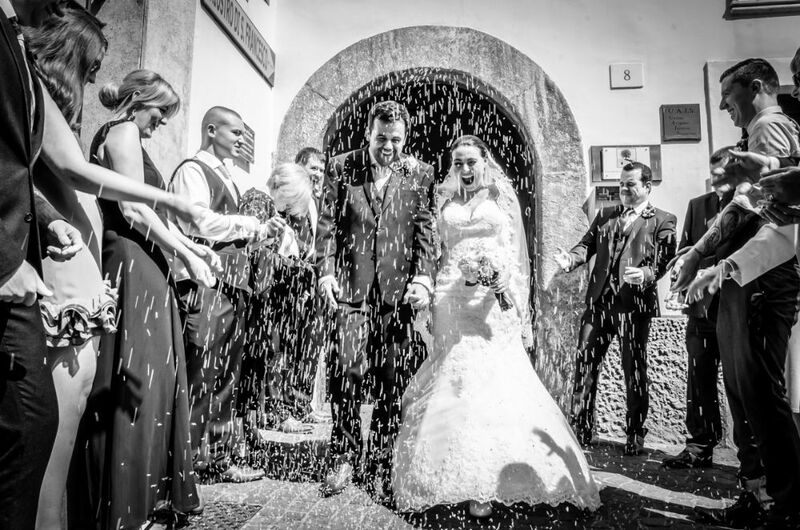 Whether that is putting together a photography package for you that is tailored to your exact needs or whether it is answering any of your questions, whatever stage you are at in your Italian wedding plans Jason will guide you through. "From my very first meeting with him, Jason is a very relaxed, attentive, flexible and charismatic professional with an amazing attention to detail working alongside you in planning the photography and locations that would best fit your day"
Of course ultimately it's all about getting those photographs! 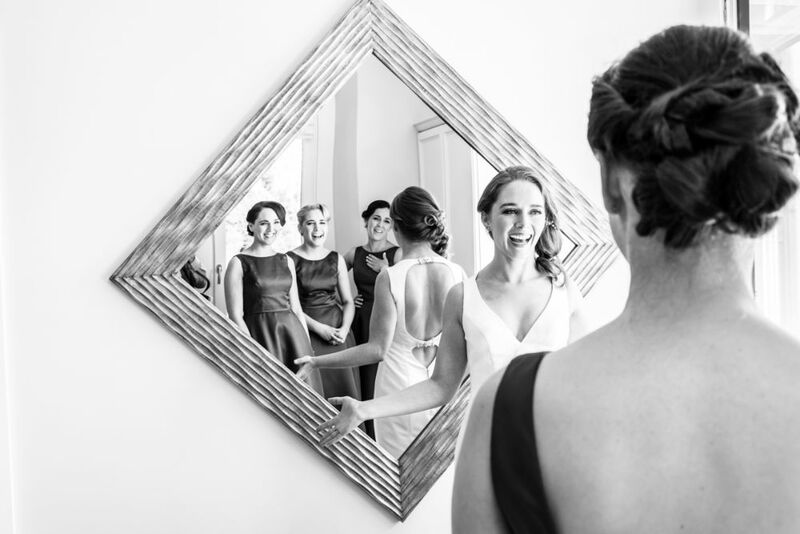 Capturing those unique moments as they unfold on your wedding day is what Jason is there for. Discreet and attentive Jason's aim is to give you a collection of images that tell the complete story of your wedding day, the emotions, the moments all photographed in a distinctive reportage style. "What can we say other than BEAUTIFUL! We cannot thank you enough for artfully capturing every little detail of our day for us!" So if you would like to know more then the TELL ME MORE section goes into more detail and a guide to packages. Jason also offers an extended range of photography shoots including engagement photography and portrait tours of Rome and Abruzzo. If you are coming to Rome or Abruzzo for a special occasion and would like that moment captured for you then have a look at this engagement photo shoot in Rome may be of interest to you. "Hi Jason, the photos arrived yesterday and I viewed them last night at home - they're PHENOMENAL!!! THANK YOU SO MUCH - I'm over the moon"
Jason's area of expertise is photographing weddings and special occasions in Rome. 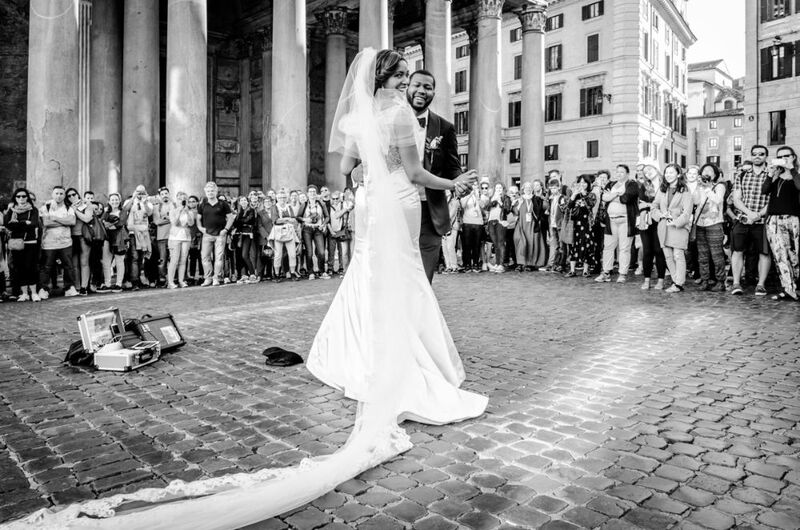 There are so many different options for your wedding in Rome but whatever you choose the likelihood is that Jason has the experience that you need to capture the event. 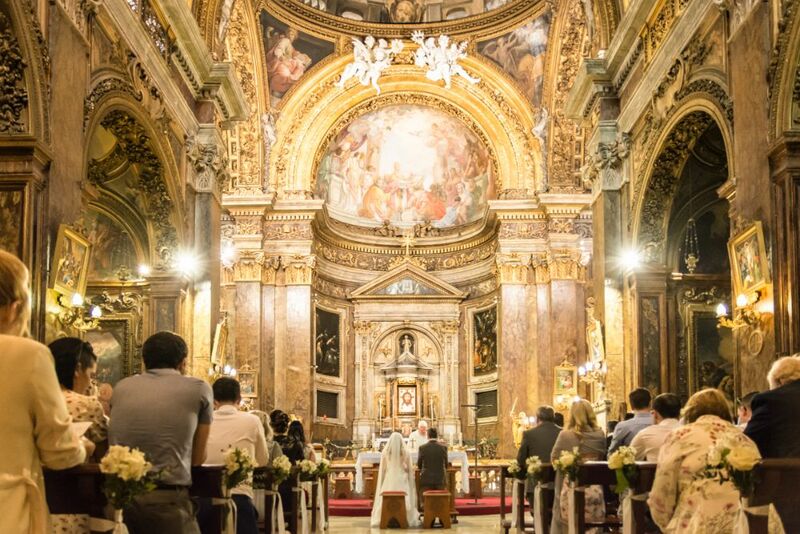 Church weddings in Rome for English speaking couples tend to be either at Santa Susanna, San Silvestro, St Patricks, All Saints or the Irish College. In Jason's Rome wedding gallery you can see examples of his work from all these venues. 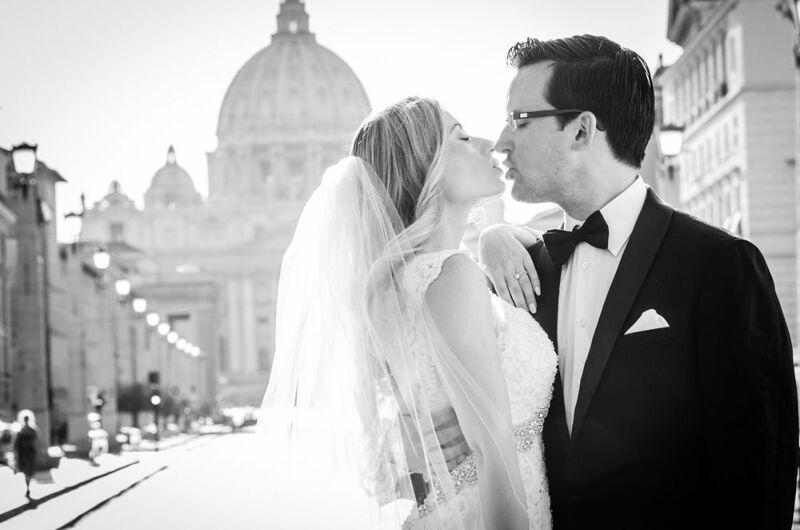 "I'd grown up in Rome so thought I was very well versed in knowing the best areas but having worked in Italy for some time Jason has a great and unique knowledge of Rome and made fabulous suggestions for our more romantic shots in Villa Borghese." Alternatively you may be looking at a civil ceremony at either Caracalla or Villa Lais. 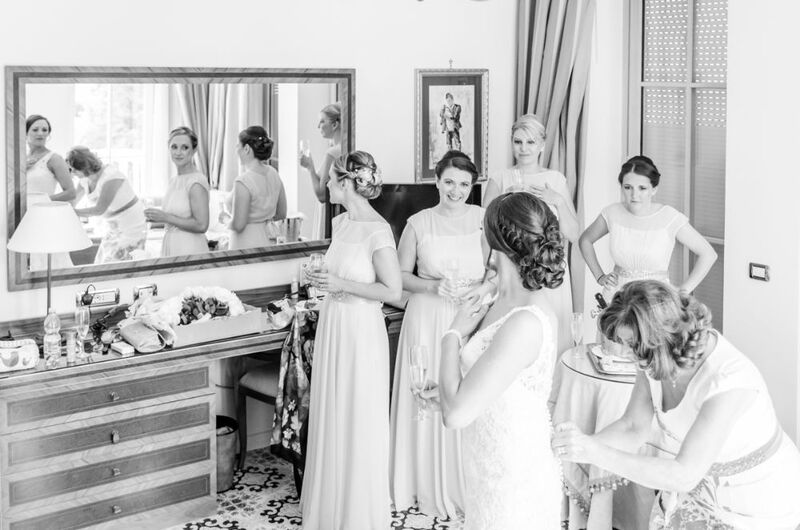 This blog here featuring a wedding at Villa Lais may give you some inspiration. Your other option is a symbolic ceremony in one of Rome's hotels, this wedding was actually on the rooftop of the Cesari Hotel in the centre of Rome. "You can't underestimate how much we love the photos and it gives us both such a warm and happy feeling and they will be the best memories we will have of the best and most perfect day of our life, which just goes to show how much they mean to us". Beyond the centre of Rome Jason has also photographed many weddings in the Lazio countryside and on the coast. Locations such as Frascati, with it's stunning villas and beautiful old town. Nettuno, with it's beaches and sea vistas. Rocca di Papa, with it's unique location overlooking Lago Albano and the Papal residence. Tivoli, with it's famous Villa's and thermal waters. Sorrento is one of the premium locations for English couples getting married in Italy and for good reason. 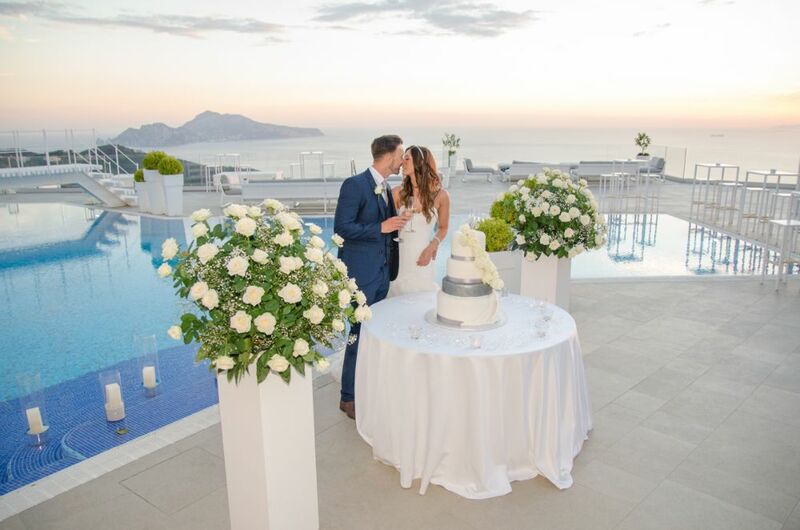 The Amalfi coast has some of the most spectacular scenery in Italy, the weather is fantastic and there is a great choice of wedding venues and hotels for wedding receptions. Jason hasa blog here featuring many of these locations such as the cloisters of San Francesco, Villa Antiche Mura, Hotel Capodimonte and Relais Blu. "We cannot thank you enough for helping make our day exactly how we'd hoped and capturing all those memories." The hidden gem in the heart of Italy Abruzzo is one of the fastest growing wedding locations in Italy. Offering beautiful coastlines, rolling countryside and dramatic mountain ranges it has a backdrop for any picture perfect wedding. Not only that it has some of Italy's best food and most hospitable people. One of the most popular locations is the Castello di Semivicoli, an incredible location that won't remain a secret too much longer! 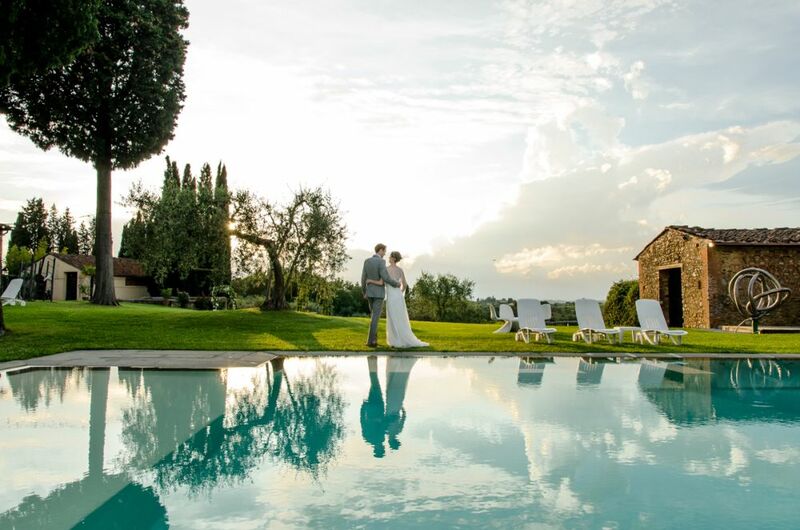 Among all the wedding locations in Italy Tuscany and Umbria possibly offer the most choice, what seems like an infinite number of hilltop towns, villas and vineyards! Jason has photographed the length and breadth of Tuscany from DIcomano in the north, Cortona in the south and Certaldo in between. "Jason, we are so pleased with the photos. You truly captured the essence of our relationship in your photos, we will cherish them forever. " Although offering Italian wedding photography mainly in Abruzzo, Rome, Sorrento, Tuscany and Lake Como, Jason also travels for weddings in Napoli, Perugia, La Marche, Venice and all areas of Italy.